When jackfruit is in season you should try all the mouth watering dishes using this unique flavored fruit. Jackfruit dosa is like a sweet, snack, or breakfast dish . It is gluten free, and no fermentation needed. You can grind and make the dosa almost immediately. This is the special malnad and udupi region breakfast. Other recipes you can try with jackfruit are jackfruit idli/kadubu, and jackfruit payasa…. 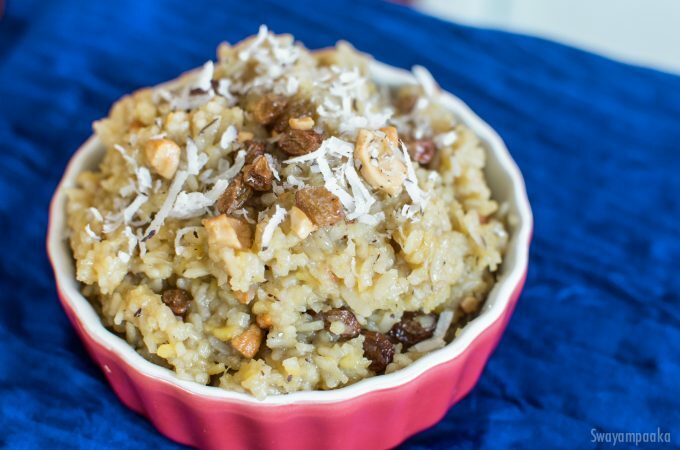 Poha sweet pongal is very easy and super delicious sweet. Khara Pongal and this sweet pongal sweet is a perfect combination for breakfast or even for unexpected guests. Khara kadubu/ or spicy kolukattai is a healthy, protein rich breakfast of south india. Easy to make and very tasty. 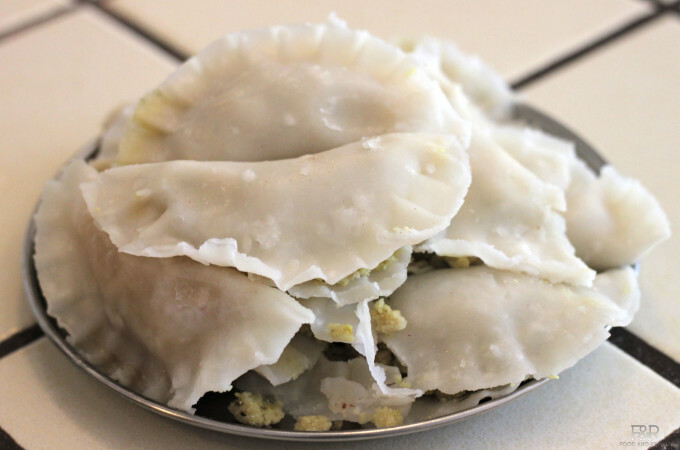 This is usually prepared on Nagara panchami festival and Ganesh chaturthi. This spicy avi kadubu is healthy and delicious. You can use either mixer or food processor to grind the dal. Try this sweet kolukattai as well. 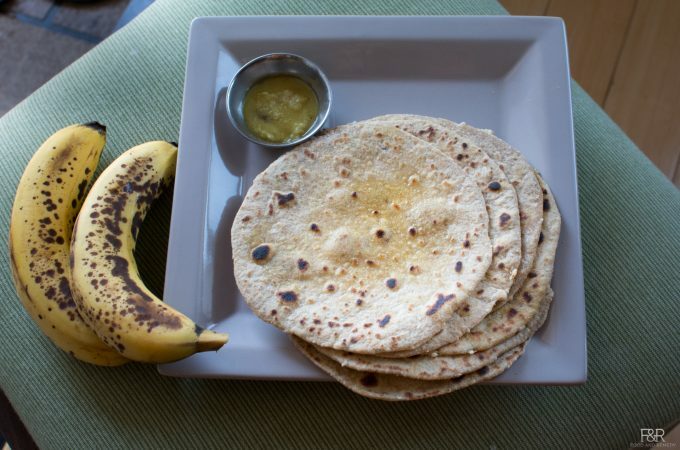 Banana Parata or Banana Chapathi or Banana roti is simple yet delicious healthy breakfast or evening after school snack. 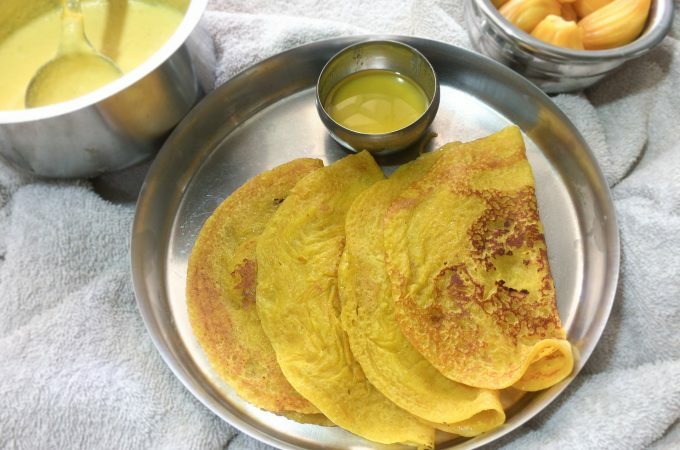 My kids love this balehannina chapathi with Banana rasayana or mango seekarane during mango season.